Bliadhna mhath ùr gu dearbh! Happy New Year indeed! There is a lot to be excited about in 2018, starting with a winter sale. 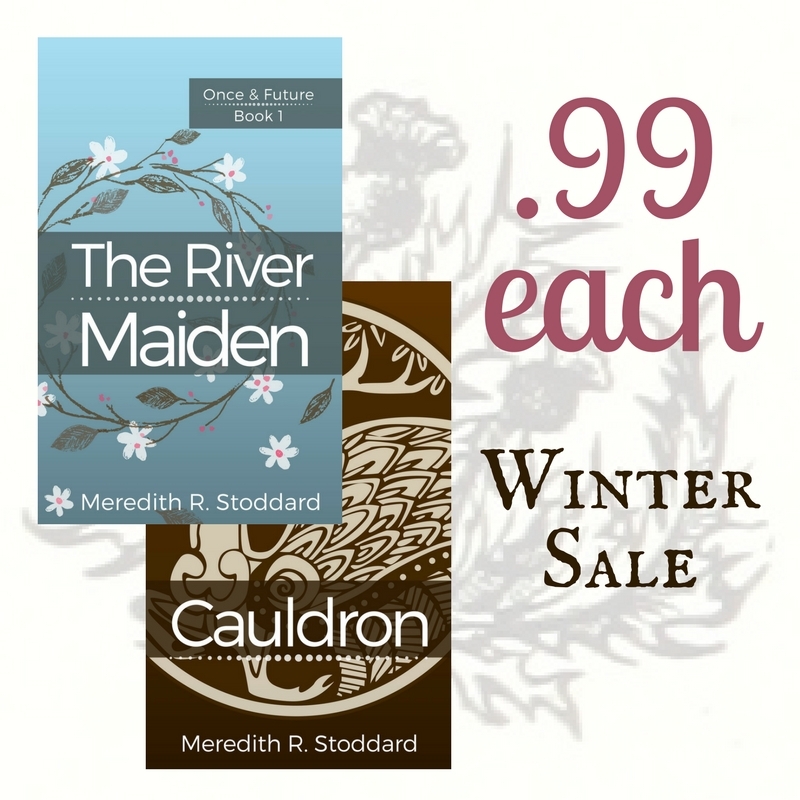 Both The River Maiden and Cauldron are only .99 for the next few days. So, if you haven't read one or both of them yet, you can grab them. If you have, please tell a friend or two about this deal. The last two weeks of 2017 was a VERY busy one for us. I managed to FINALLY finish drafting Book 3 of the Once & Future Series just before Christmas. We found a new house and are (fingers crossed) ironing out the details of moving at the end of January. I can't tell you how excited we are to be moving closer to Eric's work and family. I'm just as excited about Book 3 which I plan to begin revising as soon as the house is packed up. This time we'll be in Scotland for the whole book. There will be new characters that I'm sure you're going to love as much as I do, many revelations about Sarah's family and the Stuarts, and of course more of Sarah and Dermot. If you're interested in some teasers, you can find them here. I am also working on a short story about Amy Monroe, that may develop into a book of her own. 2018 promises to be a great year. I'm hoping you all have big plans for it too.